CAN WE TRACE the victory of Tsai Ing-Wen for president and the overwhelming victory of the DPP in legislature back to the Sunflower Movement? Both yes and no. In her campaign, Tsai wanted to attract the support of young people newly able to vote, a newly minted political force in Taiwan after the Sunflower Movement marked the entrance of a new generation of Taiwanese into politics. 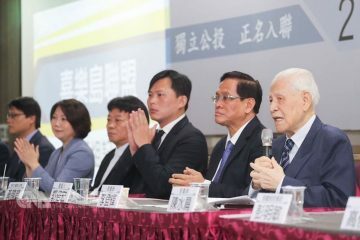 Tsai wished to draw them closer to the DPP, for fear that the DPP would be perceived as an old and ossifying party just as the KMT is largely perceived by Taiwan’s young. 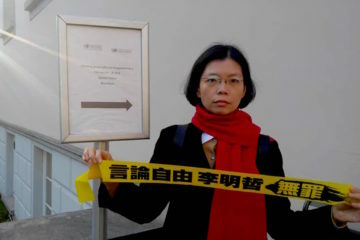 Tsai utilized many innovative forms of advertising in order to appeal to the young and attempted to play up the support that many young people had for her campaign. 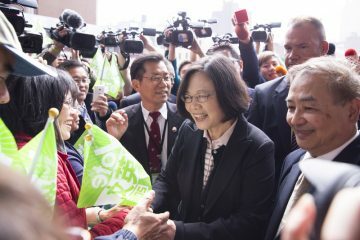 More broadly, as a strategy to widen her horizons for action when in office, Tsai Ing-Wen probably wanted to depict her political victory as a rise to power on a wave of calls for change and reform. After the victory of Ko Wen-Je for mayor of Taipei City in nine-in-one elections with the support of many young people, politicians in Taiwan have acutely been aware of the youth as a new political force in Taiwan. The Sunflower Movement may have marked the entrance of a new generation of young into politics, but it was nine-in-one elections which showed that young people could have a concrete effect on electoral politics. 2016 elections have continued this trend, with the rise of the New Power Party also illustrating a concrete effect in electoral politics that was the result of youth activism. Indeed, Third Force parties such as the New Power Party pioneered new and innovative forms of political participation, and the DPP also followed suit with an aesthetically innovative campaign. But the victorious parties were those which combined new forms of politics with more traditional ones, with Third Force parties that attempted to eschew traditional political campaigning such as the Social Democratic Party being unsuccessful in getting into the legislature. 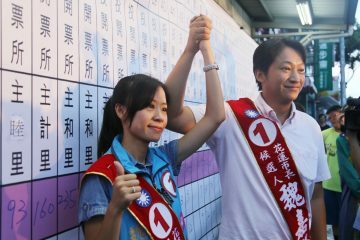 The DPP combined its aesthetically innovative campaign with older, more traditional forms of political campaigning and the NPP did not hesitate to campaign in the traditional way, despite its more unique political experiments. Yet Tsai will probably disappoint her young supporters. Tsai’s first action when in office was to telegraph that she would be against replacing the Republic of China constitution with a “Republic of Taiwan” constitution, as a means of overturning the governmental framework of the Republic of China which the KMT brought with it to Taiwan. Tsai emphasized that she would maintain cross-strait stability on the basis of the Republic of China framework and Republic of China constitution. This position of Tsai will disappoint many, but the question of whether the Republic of China framework needs to be replaced entirely is already an object of debate among youth activists. But if Tsai telegraphs more clear intentions to stick to something resembling the 1992 Consensus, just in different terms, there will be much more broadly outraging of the activists which supported her. Actually, going back to Ko Wen-Je as pioneering the “Ko model” of coming to political power with the support of youth activists, even if Ko remains a highly popular figure among Taiwanese society, Ko alienated some of his youth supporters through going back on promises about certain historical preservation sites and perceived authoritarianism when Ko attempted to place restrictions on the ability of journalists to move around political demonstrations unimpeded in order to report. We will probably see similar disillusionment in some form with Tsai, even if Tsai may enjoy the continued support of society writ large. It may be ironic that Tsai oftentimes just took the consensus of civil society in debates or public speeches, but on the matter of the ROC framework and preserving cross-strait stability, Tsai is going against the consensus of much of civil society. If Tsai presented herself on the side of civil society, this may be now running into its limits. And we will see as to whether civil society activists fall into disillusionment or become demoralized on the basis of retrenchment by Tsai. Indeed, the period immediately after the Sunflower Movement saw a period of demoralization by activists. Many times it was said that the Sunflower Movement had not achieved anything concrete and had become something like a brand which people attached to things to make them trendy. Perhaps we can say this about Tsai. Maybe in the end it was just the old party machinery of the DPP, with its resources, behind her campaign, except just in a new shell. Tsai invoked the abstract idealism of the Sunflower generation in her campaign quite often, but where the views of civil society can sometimes be inchoate or not totally thought out, this offered a convenient way of masking Tsai’s own lack of concrete policy. 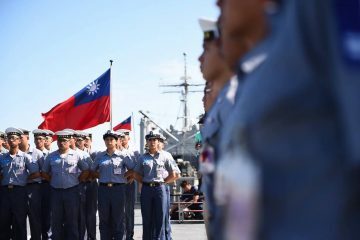 Tsai could offer a abstract vision of change to appeal to voters on the basis of without having to engage in sustained debates about policy in public. 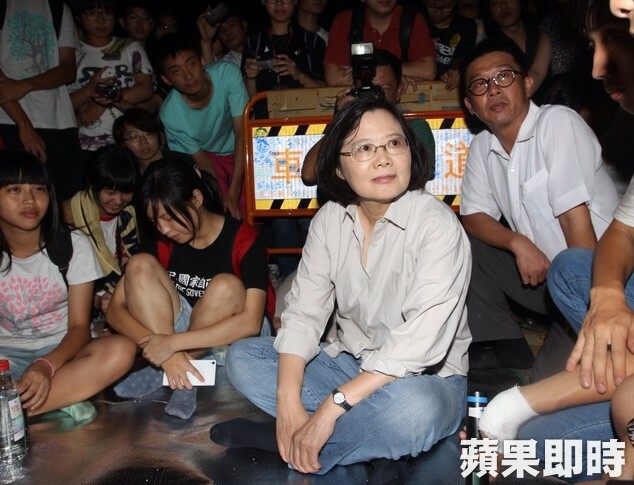 Tsai appealed to youth activists and sought to draw their support for her election. Yet if Tsai then turns her back on what youth activists of the Sunflower generation stand for, they would understandably feel betrayed. 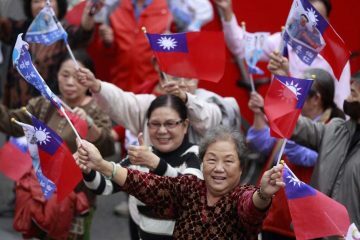 But we will see as to the future relation of Tsai, the DPP, and the Sunflower generation. If the perception is that Tsai Ing-Wen was using Sunflower movement activists for political gain, will Sunflower activists turn on her at some point in the future, along with the Third Force which grew out of Taiwanese civil society? If the activists do not become demoralized by what is perceived as a betrayal and sink into inactivity, it seems that this is a possibility. Where Did Identity Politics Go in the 2016 Presidential Elections?